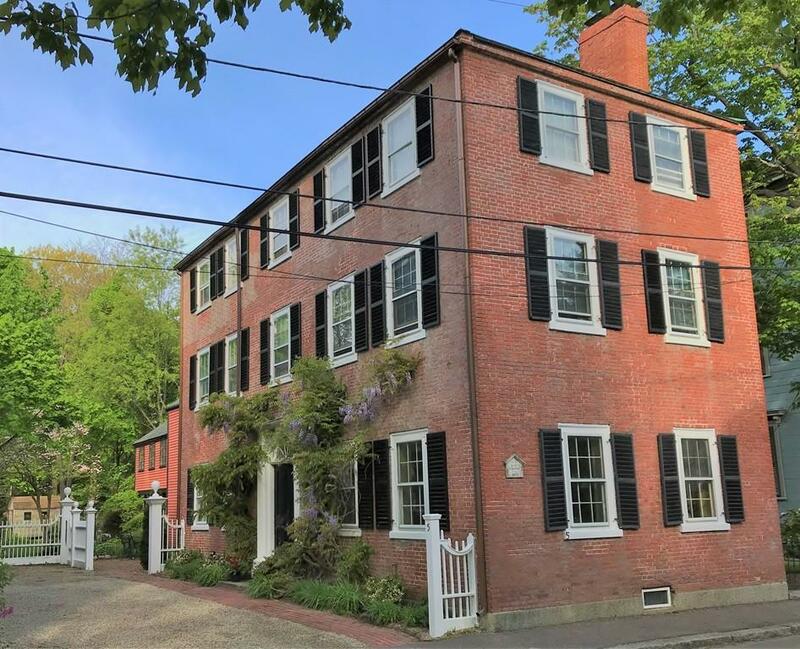 Classic 1807 3 story brick masterpiece sitting on large gorgeous private groundsyou will forget that you are in the heart of old town Salem near restaurants, the library, museums, cultural attractions & around the corner from the commuter rail (27 minutes to Boston!) This house offers 4+ large BRs, 2 full baths & a charming powder room. 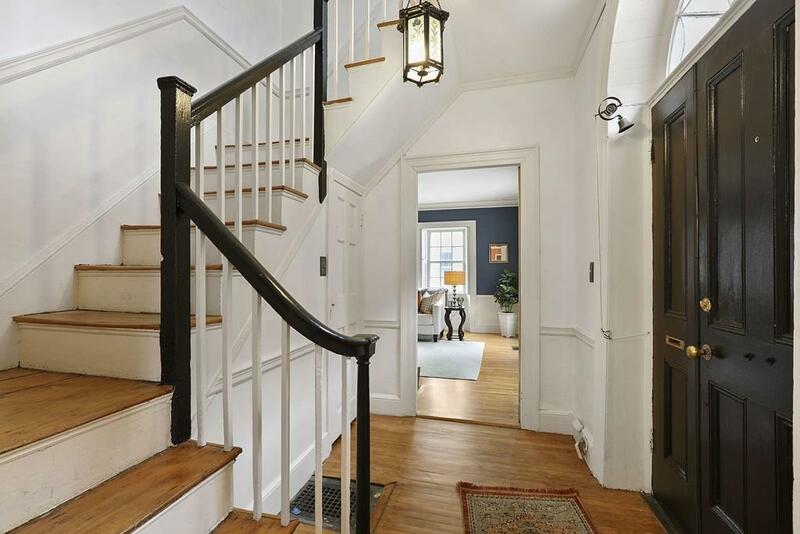 Gracious, sunny LR & DR w/original restored woodwork & working interior shutters. Large kitchen w/gas cooking. Romantic "tavern room w/ornate brick walls & beams overheadcurrently used as a sitting/bar room, also ideal for kids play space in view of the kitchen. Above is the "captains room with its arched ceiling, overlooking the garden, ideal for home office, craft/studio space. 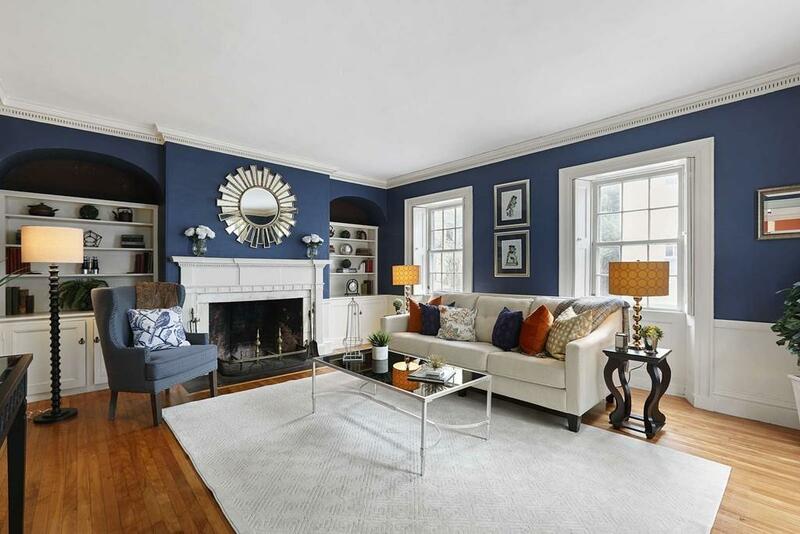 All principal rooms have 2 exposures making for a bright and cheery house, restored pumpkin pine floors throughout. Really well laid-out grounds with off-street parking, offer many picturesque seating areas & a multi-spaced yardtruly rare in the heart of Salem. Listing courtesy of Michael Selbst of Gibson Sotheby's International Realty. Disclosures Heat: Oil Forced Air On 1st And 2Nd Gas Radiators On 3rd Floor Electric in "Tavern Room" And "Captains Room" And Adjacent Br. Gas Hot Water Heater is Rented @$12.96/Month. 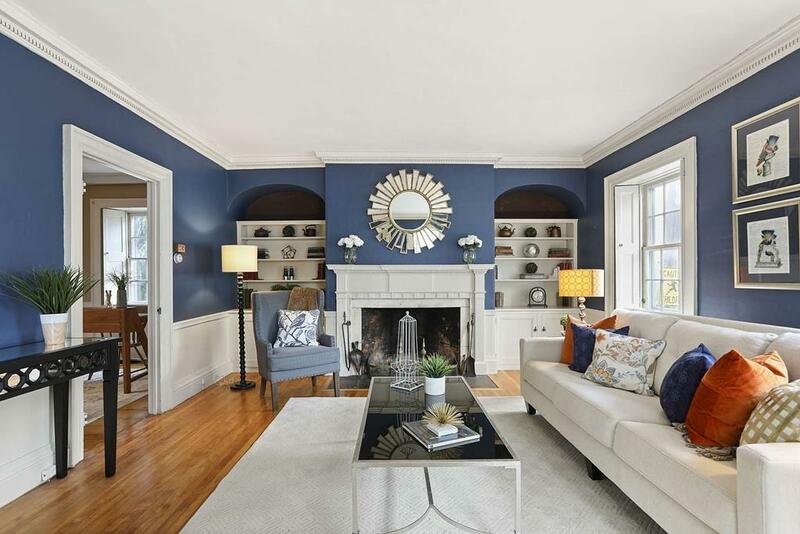 Seller Uses Fireplaces in "Captains Room" And Adjacent Bedroom; Not Representing Other Fireplaces May Be Used. Listing provided courtesy of Michael Selbst of Gibson Sotheby's International Realty.